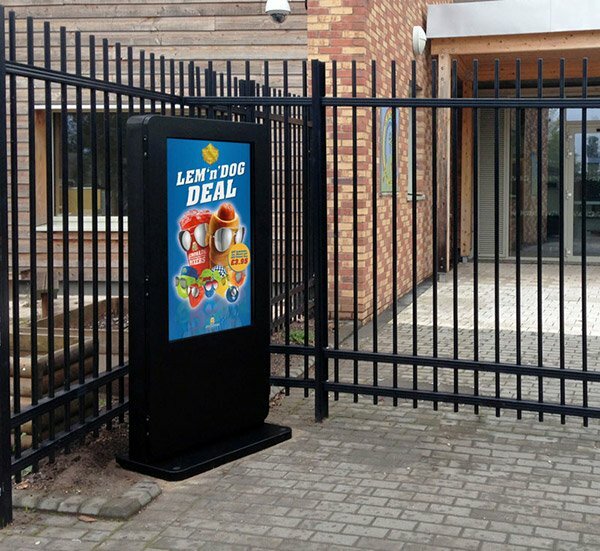 Designed specifically to be strong & to protect your investment, these screens are housed in a mild steel enclosure and incorporate thermally toughened glass with hidden connectors to protect all the internal components against vandals. 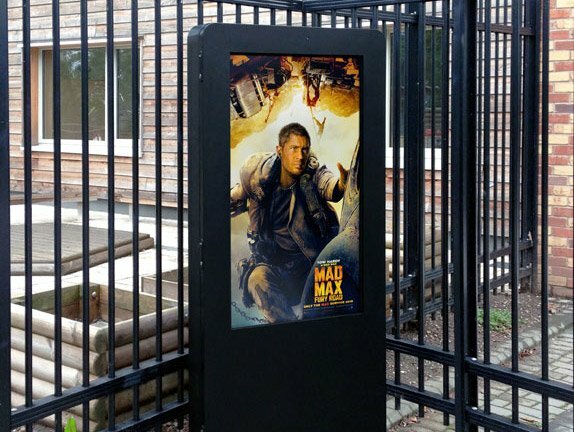 Cable channels and secure fixing points in the base make for a straightforward permanent installation and the special design of the enclosure allows for easy access to the screen during maintenance but at the same time still remain secure. Looking for something a little different? 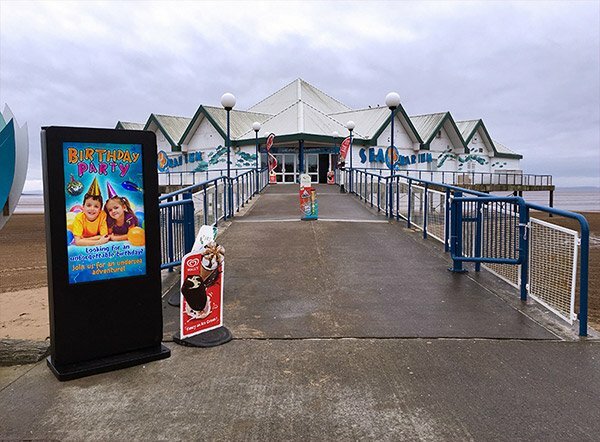 Extra-large screens, double sided versions or integration with video cameras are all possible, please call us to discuss your ideas. 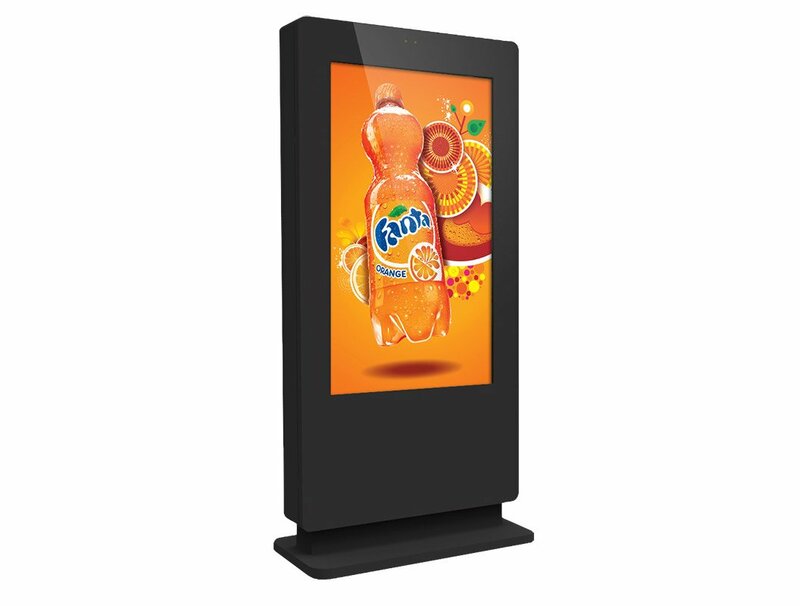 These digital signage screens are manufactured with a commercial grade LCD panel with an LED backlight that is suitable for constant use 24/7 & also offers a wide viewing angle. There are also no buttons, controls, company logos or branding on show. At the base of the freestanding display there is a small lockable storage compartment where you can store a small form factor PC or media player. 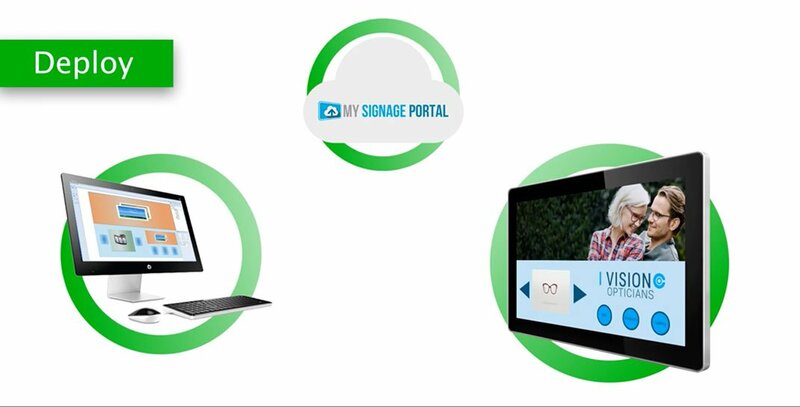 If you ever need to run content on the screen from an external source all you need to do it simply connect your hardware to the screen using the HDMI, VGA and audio inputs. 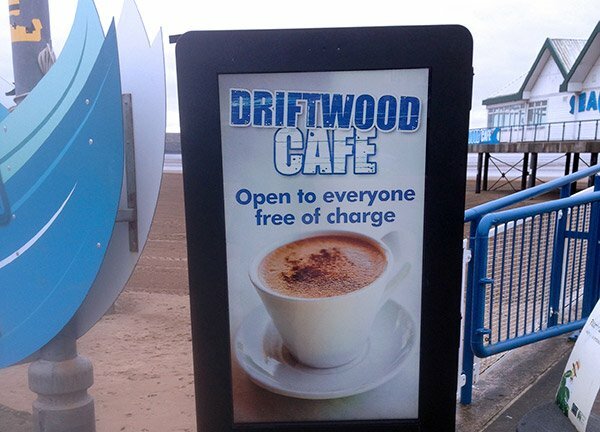 Upgrade to the Networked Touchscreen version for increased customer engagement. 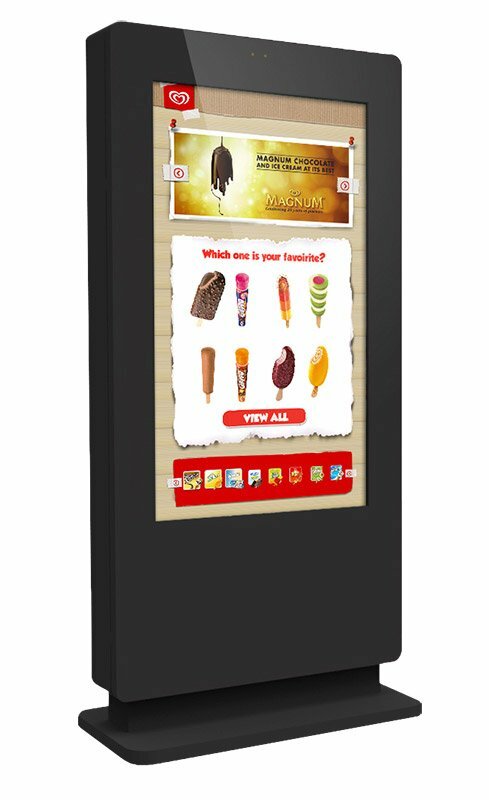 The PCAP* touchscreen technology allows for up to 10 point multi touch that allows for a wider variety of applications than ever before. 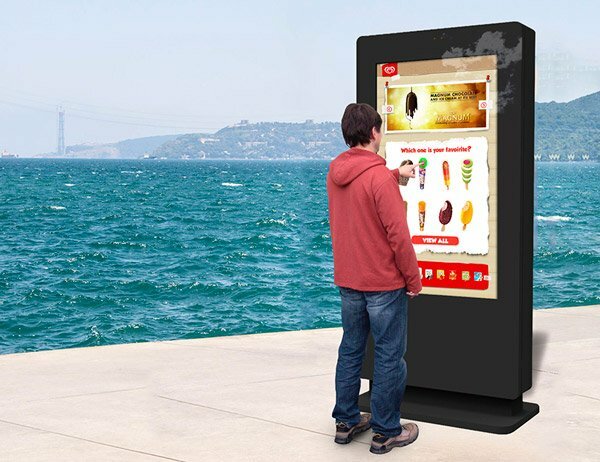 This multi touch functionality allows you to manipulate images, zoom in an out as well as perform many other touch gestures & is similar to using a domestic tablet or smartphone. 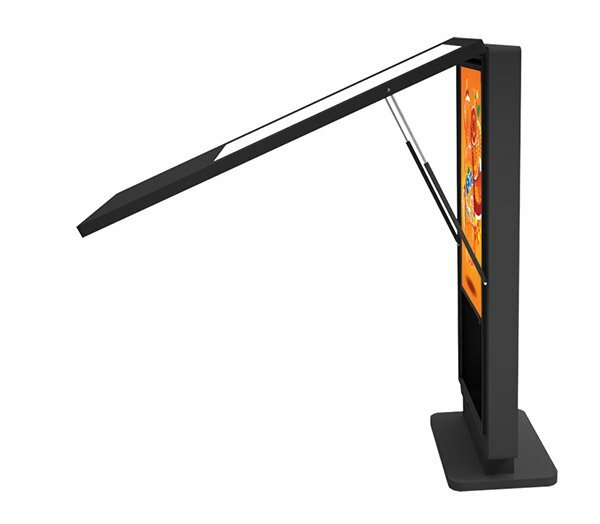 It also means multiple users can interact with the screen at the same time if necessary. 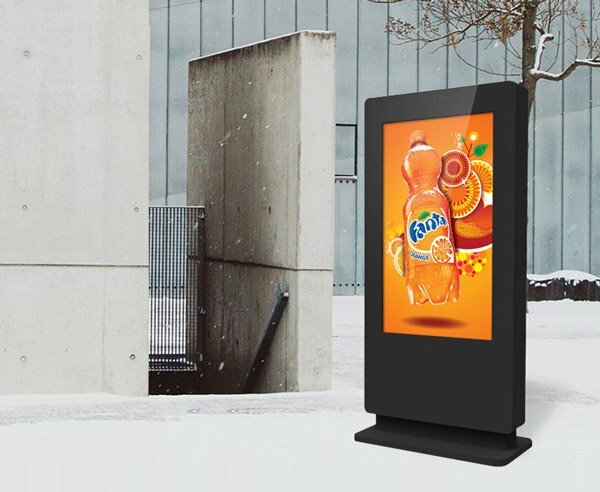 Supplied with a built in Android operating system that allows you to run Android apps, display live websites & run content without the need for a separate PC.